Want your usual caffeine kick, but it’s too hot for a cappuccino? Coffee Ice Cream could be the perfect solution for you. It combines the flavour of your favourite pick-me-up, with the refreshment of an ice cream. 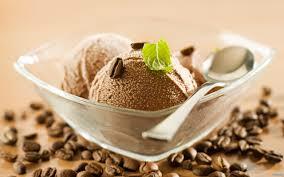 Coffee Ice Cream is a European favourite, but is fast gaining popularity in the rest of the world as well. It’s easy to make at home as well-just a few whole coffee beans or coffee powder, double cream, and condensed milk- are needed to make your own unique summer surprise. You can also opt for decaffeinated powder if you’re a fan of the flavour, but not the excess caffeine. 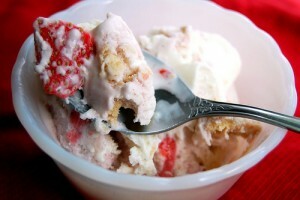 This decadent treat is a mix of juicy strawberries and rich cheesecake chunks through a swirl of creamy ice cream. All the ingredients: fresh strawberries (preferably organic), cream cheese, sour cream, half-and-half, lemon juice, sugar, salt, dark chocolate, heavy cream, and chocolate crackers- are available locally, and easy to prepare at home. Every bite is full of luxurious flavour; while the strawberries are a summer staple, the cheesecake adds a bit of crunch to your dessert experience. Sorbet may not technically be ice-cream, since it’s water based, but it’s the perfect frozen treat to beat the heat. It’s main ingredients include- Water, sugar, flavouring of fruit juice or purée, wine, or liqueur, and sometimes, honey. 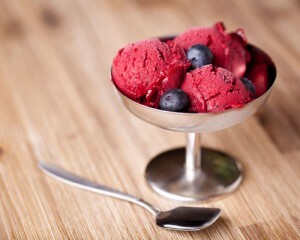 A range of berry flavours like raspberry, blueberry, strawberry, etc, make for exciting sorbets. Sorbet’s melt in your mouth and leave an invigorating, juicy, berry taste. Easy to make at home, and a good choice on a hot summer’s day, when you want something cold but not too heavy. 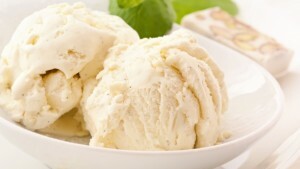 Vanilla ice cream is an all time classic. Eat it on its own, or spruce it up with toppings, it remains a staple dessert option. But what if your regular Vanilla Ice Cream, was thicker, creamier and more wholesome? Well, here is where French Vanilla makes your dreams come true. Traditional Vanilla is made from the vanilla bean pod, or a chemical flavour equivalent (usually vanillin); the French vanilla flavour however includes, egg yolks and egg custard for the creamy consistency. French Vanilla is a great choice for the lovers of classic ice cream, and one can even add their choice of toppings to make it a truly indulgent experience! The Neapolitan combines the deliciousness of three of the most popular flavours-strawberry, chocolate and vanilla. It often appears as three individual blocks of ice creams attached together with no packaging in between, but many ice cream brands are now opting for the “ripple effect”, where all the flavours appear in a single swirl-which means a burst of flavour the moment your lips touch the spoon! Vanilla, Chocolate and Strawberry, complement each other quite well as flavours, and this is why The Neapolitan is a simple, yet very fulfilling dessert. In fact, this flavour has been a favourite since the late 19th Century, and has an interesting history attached to it. The ice cream flavour was believed to have been popularised by Neapolitan immigrants when they first traveled to the U.S. If you compare the colour blocking of white, brown, and pink it slightly resembles the colours in the Italian flag, but also the red, white, and blue of the American flag. A unique twist on traditional Vanilla, Praline Pecan has all the potential to be your new favourite. Pralines are sugar candies made from nuts and sugar syrup, and Pecans are delightfully tasty nuts. Infused in Vanilla, these two ingredients provide not only a unique flavour, but also texture, adding both the sticky and crunchy elements. 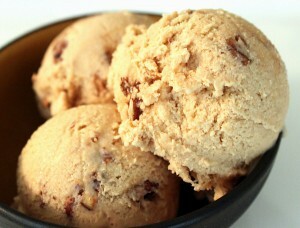 Many praline ice creams even features a shot of bourbon or bourbon flavouring for a different twist. Light, tasty and wonderfully sweet, Pecan Praline is the best creation for your taste buds. Order this at your nearest Baskin Robbins! Rocky Road is truly sinful enough to be the devils favourite dessert! It combines chocolate ice cream, chopped nuts, and marshmallows. 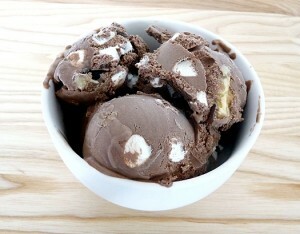 Rocky Road combines the textures of gooey marshmallows, crispy nuts, and velvety chocolate. An American delicacy, it was first introduced by a man named William Dreyer from Oakland, California, in 1929. was first introduced in the years 1929 by a man from Oakland, California. 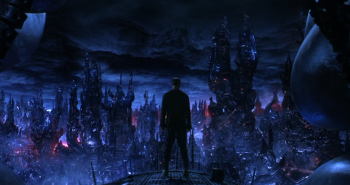 It is said, that Dreyer was experimenting with ice cream flavours when he used his wife’s sewing scissors to slice up nuts and marshmallows to add to his bowl of chocolate ice cream. An stroke of genius indeed! For those of us with a strong chocolate tooth, Belgian chocolate is a match made in heaven. Traditional chocolate flavours, are not nearly as rich and delectable as this. 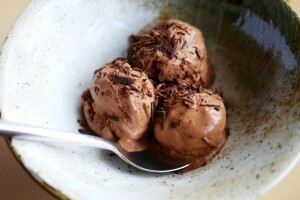 It is chocolate ice cream at it’s smooth best, with chunks of the most luxuriant of chocolates. Belgian Chocolates are deep and dark, with a texture that melts in your mouth. 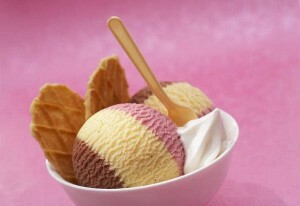 It’s a classic offering at most ice cream outlets like Gelato chains, Häagen-Dazs, Baskin Robbins etc. While it may not be the best palate cleanser, Belgian Chocolate Ice Cream provides a palate in itself, with its opulent flavouring. It will surely leave the best taste in your mouth. So be sure to leave room after dinner for this fine dessert! 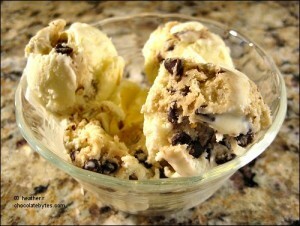 Chocolate Chip Cookie Dough Ice Cream is an ice cream flavour in which unbaked chunks of Chocolate Chip Cookie dough are embedded in Vanilla flavoured ice cream. A brilliant invention by Ice Cream visionaries Ben and Jerry in 1990, this flavour brings all the appeal of a chocolate chip cookie in frozen form. Something about Chocolate Chip Cookies feels like home. They’re warm, cozy and comfortable. A reminder of all things good and happy. This extraordinary flavour allows you to transport that warm cozy feeling to a fresh summer pleasure. Take a big ol’ scoop of this deliciousness the next time you want a little dose of happiness! 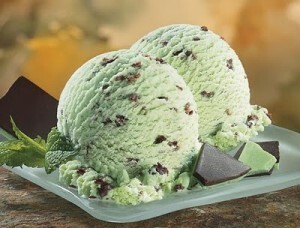 Mint Chocolate Chip consists of small chocolate chips embedded in mint ice cream. It’s one of the most popular ice cream flavours, and for good reason! Mint Chocolate Chip is almost flawless in it’s appeal. The mint is a perfect complement to the chocolate. The freshness and lightness of the mint stops the chocolate from being too overpowering, and the chocolate adds sweetness to the peppermint swirl. Food colouring gives it its attractive green colour, but it is white in its organic form. In some cases the liqueur crème de menthe is used to provide the mint flavour, but in most cases peppermint or spearmint flavouring is used. If you’re looking for a treat that is simultaneously sweet and fresh, there’s only one answer for you- and it’s the glorious Mint Chocolate Chip.